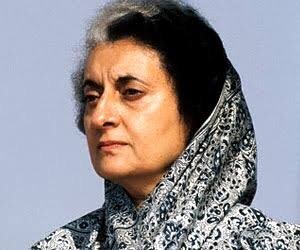 “(Former prime minister) Indira Gandhi attempts to eliminate Pakistan’s armour and air force capabilities,” Central Intelligence Agency director Richard Holmes had said at a meeting in the aftermath of the operation that created Bangladesh. Holmes is quoted in a document of the CIA – one of the thousands that were declassified recently. The Intelligence Bureau has placed under scanner 150 youth from Assam for alleged links with the Islamic State. The spread of the IS from Bangladesh to West Bengal and Assam with the help of the Jamaat-ul-Mujahideen is a well-known fact. Intelligence Bureau officials say that the IS has managed to spread its ideology deep into the system in West Bengal and it is attempting the same in Assam as well. New Delhi, Dec 28: In July 2012, the chief of the Lashkar-e-Tayiba, Hafiz Saeed shared a stage in Karachi with a man called Maulana Abdus Quddus Burmi, where a resolution was passed to ‘recruit and seek revenge for the atrocities against the Rohingya Muslims’. The meeting assumes heightened significance in the present context considering the increased activity that has been noticed at Mae Sot in Myanmar. Quddus is the point man chosen by the Lashkar top brass and the Pakistan’s Inter-Services Intelligence to head this assault team which intends to wreck havoc in India and Bangladesh under the banner of Harkat-ul-Jihad of Arakans also known as HuJA. Bengaluru, Dec 23: The Intelligence Bureau has suggested enhanced security along the border areas to prevent black money in new notes from being sent abroad. There is specific intelligence that suggests several persons are sending their black money in new notes to Bangladesh. The Income Tax Department has stepped up the heat which has prompted black money hoarders to send their money abroad. The first clues were received when the Border Security Force seized Rs 29.70 lakh in new Rs 2,000 notes at Nokchi in West Garo Hills District in Meghalaya on Thursday. Kolkata, Aug 30: The network of the Jammat-ul-Mujahideen is vast and dangerous. It spreads its tentacles from Bangladesh and the same enters right into Bengal and Assam. Dhaka, July 21: A top operative of the Jamaat-ul-Mujahideen, Bangladesh or the JMB has been arrested along with three others in connection with the attack on a cafe in Dhaka. Mahudul Hasan Tanvir, the Emir of the Southern Region of the JMB was arrested from his hideout at Gazipur’s Tongi area on Thursday morning by the Rapid Action Battalion. New Delhi, July 11: The Jamaat-ul-Mujahideen, Bangladesh took advantage of two factors while setting up its modules in West Bengal. An overly secular approach in the state, so much that it led to appeasement proved to be a major advantage for the group. Today the outfit which allies with the ISIS has become a headache not just in Bangladesh, but in West Bengal as well. New Delhi/ Dhaka, July 7: India will send a four member team of National Security Guards to Bangladesh to assist with investigations into the terror attack cases. The team would assist with the investigations and also gather data regarding the attacks, both at Dhaka and Kishoregenj. Dhaka, July 7: When Maulana Fariduddin the chief cleric at the main Mosque at Kishoregenj collected 100,000 signatures against the increasing number of extremist attacks, it had become quite clear that he had become a target of those who have misinterpreted Islam. Today the attack in Bangladesh according to the police may have been aimed at him and his liberal ideology. The recent attack at Dhaka was not just an attempt to keep the ruling dispensation on the edge but also a long term objective of promoting radical Islam in the country and beyond. This is a great cause of concern not just for Bangladesh but India which shares a border as there is a great danger of a spill over. It becomes imperative for the intelligence and security establishments in both India and Bangladesh to view the Dhaka attack as a wake up call and evolve a joint mechanism to deal with the challenge says, former Chief of the Research and Analysis Wing, C D Sahay. In this interview with OneIndia, Sahay says that India has decades of experience in dealing with terrorism and it is now time for us to reciprocate as Bangladesh has done a great deal for us.